Holding a conference is an event that takes a lot of planning. In most cases, there is a lot of material that has to be covered during a conference. Having the right amount of space to accommodate this is critically important. The Drum at Wembley is well known for being able to provide the setting that is going to be needed for this type of event. During a conference, the planners need to have a lot of resources to rely on. Here at the Drum at Wembley, they have a very impressive conference hall. It is open and spacious and has all the essential components needed for a successful conference. One of the important features of this room is its natural lighting. At the same time for those that need to use the projector services, there is no interference by this lighting. Quite often during a conference attendees have to be segregated into smaller gatherings. One of the great options here is that there are multiple boardrooms available for this. 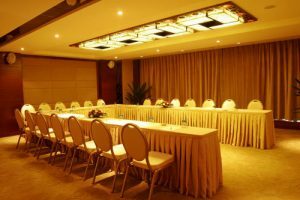 When the conference is comprised of different workshops and training, having the smaller boardrooms to work in should meet all of the needs. There is no need for anyone to have to leave the building. Everything needed is in one space and is easy to access. Usually, during conference events, there are other resources that need to be utilised. One of these is audiovisual services. There is no need to stress about this as the Drum at Wembley can provide this service. Another great feature about using at this facility for conferences is that it can accommodate guests after the conference hours. There is plenty for them to see and do here, and it is an ultra modern facility that focuses on professionalism. Guests can relax in the many different areas within this establishment.